APEX Dispensing Pumps from MotionSource are electrical powered pumps and packages with an on-demand sensing system. You can always have air available for shop tools with this on-demand pump from Graco and MotionSource. With outputs up to 650 psi and 4 gpm, you can easily add oil dispense to your operation without replacing your compressor. 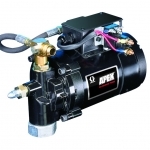 The Graco line of APEX Dispensing Pumps are available in AC and DC configurations to meet your fluid transfer needs. Graco’s APEX Dispensing Pumps are designed specifically to transfer bulk oils and hydraulic fluids anywhere. Larger horsepower motors offer flow rates up to eight gallons per minute (30 lpm). Available with 12 VDC, 115 VAC and 230 VAC electric motors, they are the most versatile on the industrial market. Call us for a free quote, 888-963-6686 or email Sales@MotionSource1.com or simply complete the Quick Quote form to your right and receive a call back within 10 minutes. That’s our pledge. With Graco PMG equipment in stock and ready to ship, there’s no reason to go anywhere else. Work with the industry experts and give us a call at MotionSource today we have your APEX Dispensing Pumps.